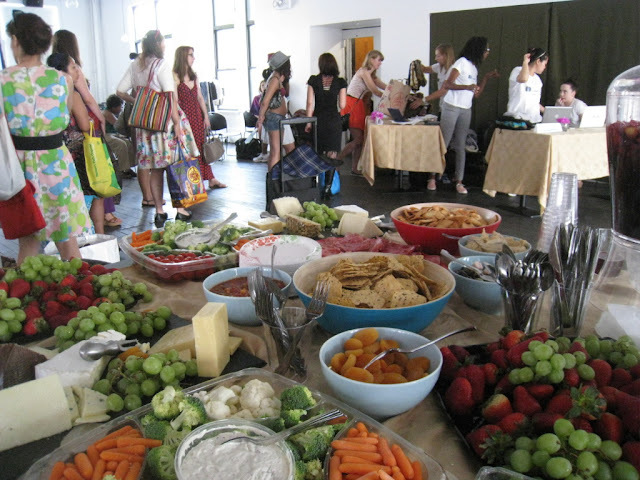 This past weekend I attended the ClosetDash swap party at Projective Space in the Lower East Side with Evelyn and Carol. 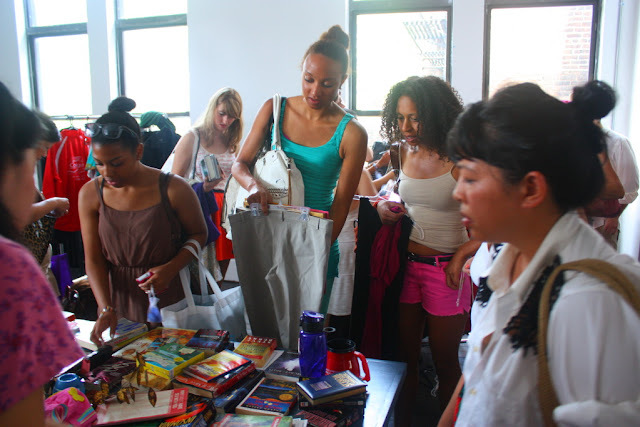 I love clothing swap parties because they force me to seriously clean out my closets! I brought 23 items and received 23 tokens to shop with (each token buys one item). 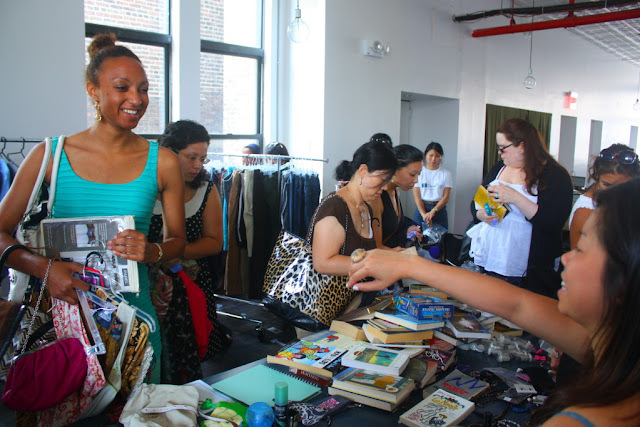 With 70 attendees and over 1,200 items to be swapped, there was quite a selection. I tried on armfuls of clothes, but ended up taking home stuff to adorn my apartment instead. My finds included a Christian Lacroix fashion book, brand new curtain panels and artwork to hang on my walls... all for a grand total of FREE! I'm already looking forward to the next event. You can check out ClosetDash here... 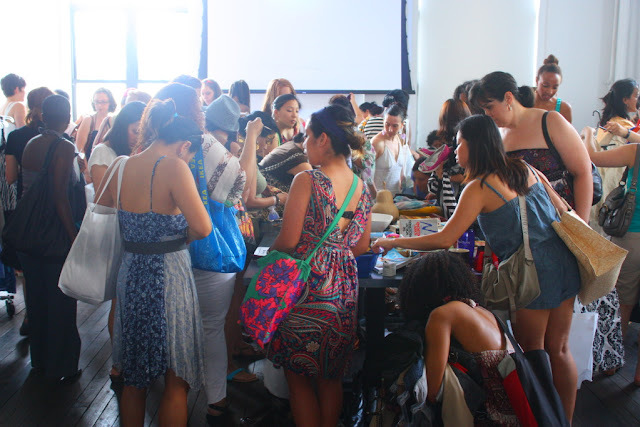 In the meantime, read my blog post on how to host a clothing swap. What did you do this weekend? A Christian Lacroix book?! Nice! Haha, "Look at my ring!" All-You-Can-Stuff Sale without the calories! 2011-2013 by Helene Abiola. For all inquiries, email helene@bonvivantandabudget.com. Simple theme. Powered by Blogger.